Surprised this hasn't been posted yet! I think it looks interesting. Parts of the trailer made me feel like this is a retread of the older films, but hopefully Pixar can surprise us. Bo Peep is one of the best choices for characters to bring back. Toy Story 3 had so much ground to cover that she didn't get the send off she deserved. Meanwhile, Toy Story 2 solidified the main cast of Andy's room with Buzz's rescue party. While the other toys still had unique personalities and memorably designs, they were basically scenery at this point. Though even Bo never really crossed over into the main conflict, which made the character revamp we've seen necessary. She's now an active character instead of passively existing. And while I liked her new warrior outfit, I was relieved to see her classic shepherdess costume make a return. The shot of her lamp was some amazing attention to detail, but now what about her sheep? 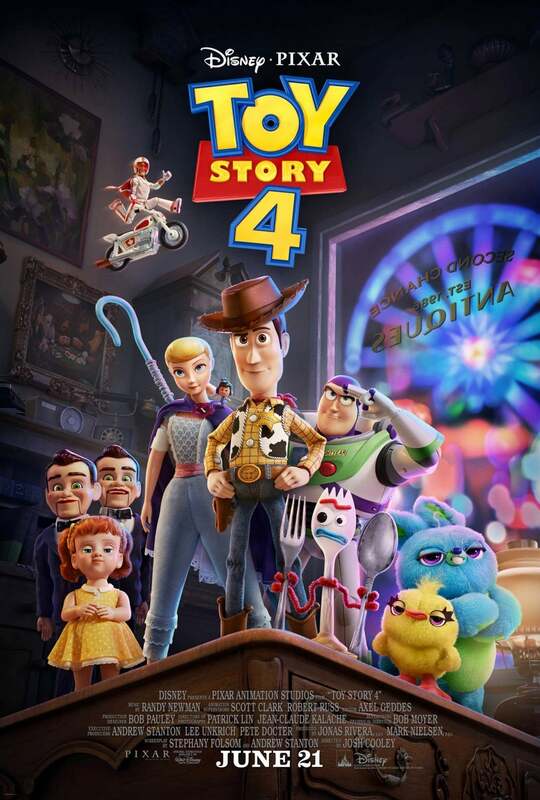 The movie looks like it's going to take a lot of the same paths as Toy Story 2. Woody's altruistic nature gets him lost in the real world while trying to save a toy (Wheezy and Forky). Meanwhile Buzz hatches a rescue plan. Along the way, Woody questions his mortality as a toy and ponders the route of existing contrary to his purpose and without a kid. Though that's just a vague outline, the rest has me wild with anticipation. Woody's conflict now has a new perspective: while the Prospector originally tempted Woody to abandon his kid, he ultimately failed because him never being loved by a kid skewed his perception of reality and made him cynical. But Bo shared the same experiences as Woody before abandoning her life as a conventional toy. She definitely brings more credibility to the argument. And being Woody's lost love only further makes for a compelling ultimatum. Toy Story 3 seemed to raise the stakes to impossible heights, so I'd be interested to see where Toy Story 4 takes us. I hope Buzz gets a sizable role, his side-quest seems to take some wild turns. Meanwhile Tinny returns to the franchise that he basically set off with a cameo very visible in the trailer. I honestly hope he gets some kind of part to play. We saw most of his former playmates donated to Sunnyside. It's an interesting character development that after Tinny learned to embrace being a toy, he's now gone rogue with Bo. Disney always create amazing movies my kids love them. June 21st can't come soon enough! Although I wasn't super impressed with the trailer, I hope the movie is going to make us Toy Story fans proud!